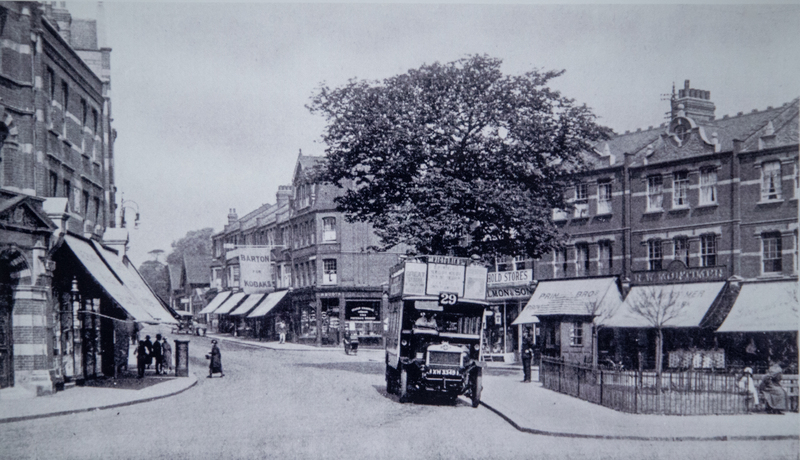 A photo from the Southgate Photographic Society showing a number 29 bus travelling along Green Lanes. This very early photo, probably from the 1920s, also shows some local shops. And here is a link to a wonderful slide show from the Southgate Photographic Society which shows then and now pictures from the same viewpoint. Our aim at Palmers Green Tales, is to create an oral and living history of Palmers Green, and its environs, using personal reminiscence. By watching and reading the interviews we can build up a picture of what it was and is like, to live in Palmers Green, how Broomfield Park was used, what a lynchpin Broomfield House was within the community and what the local schools were like, when the local housing estates were built and who lived in them and what shops and entertainments were and are now available. Alongside this we are also interviewing people who are making a contribution to our community today, developing our archive for the future. Our sponsor publishes a monthly magazine Palmers Green and Southgate Life which has some very interesting articles in, you will be able to access the latest copy and their archive copies here, Palmers Green and Southgate Life. Our latest film is about the North London Netball League who have been playing in Broomfield Park for nearly 70 years. The photo of the bus at the triangle was probably early 20s. Those buses were of the type used on the western front. Thanks Paul, we hadn’t made that connection. I lived in Harlech Road Palmers Green in the 70s with a brilliant landlady Nellie Rufus. She was absolutely brilliant to me although I was young diddn’t appreciate it at the time. Nellie sounds great, I expect she had lots of other young tenants who also remember her with affection.